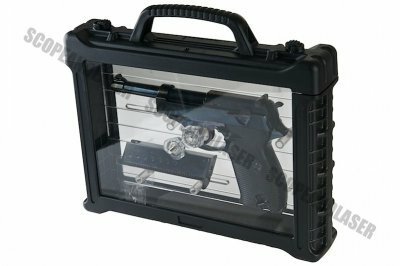 The WE P38 comes in an amazing LED case which is good enough to use as a gun stand on its own. Imagine tagging the P38 along to a skirmish and then revealing this to all your friends. All you need to do to open it is to push the buttons on top to the side and the gun rack will slide upwards allowing you to remove the pistol in the coolest fashion. 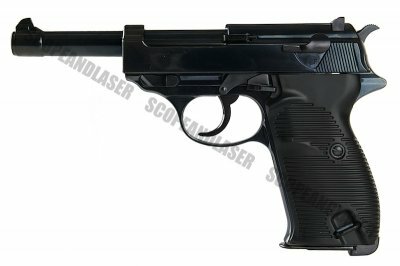 It is not the heaviest airsoft pistol in the world, even if it is primarily made out of metal. 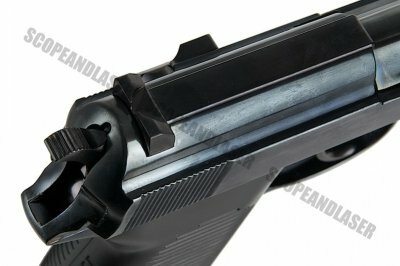 Even though the grip is plastic, one may assume that it'll be rather difficult to grip but it's quite the opposite. The serrations on the grip prevents the pistol from moving around in the palm of your hand. This is the same for the slide as the texture feels very smooth which won't help with wracking it but the grooves do help. 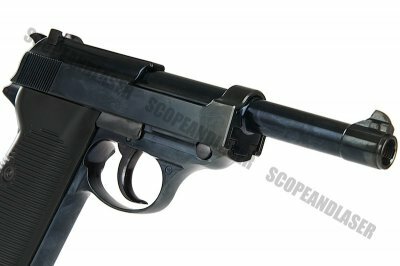 The P38 has a capacity of 14 BBs. Each BB will need to be inserted by hand as the tip of the magazine is rather tight but this will prevent the BBs from spilling by accident. The magazine gas reservoir isn't the largest but it does have enough to go through the entire magazine with no problems though you will need to charge it again once you run out of BBs. The recoil is rather satisfactory. The lighter slide gives it a slight kick which isn't enough to throw you off your aim which is perfect in this case as you won't want to lose track of your target, allowing you to pull the trigger in rapid succession. If the BBs drop earlier than you expect, then all you need to do is pull the slide back and there is a slot for the smallest hex key which will allow you to increase the hop. 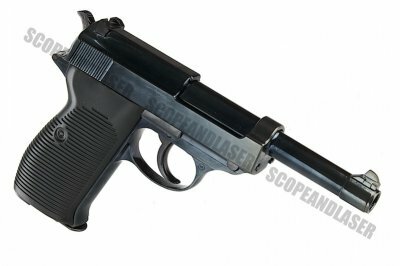 Aesthetically, the P38 looks very similar to the real steel version. The Black version is a nice blue tint to it and the silver is a little dulled so it doesn't reflect so much light around it.